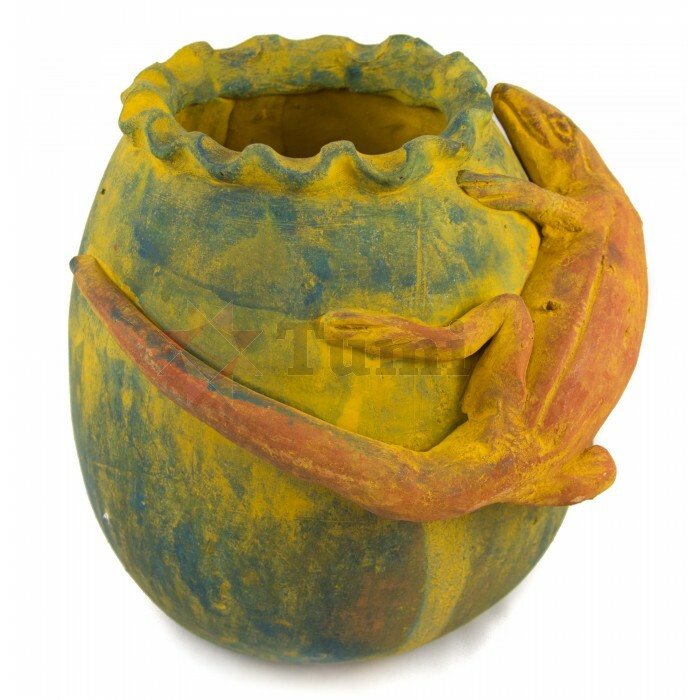 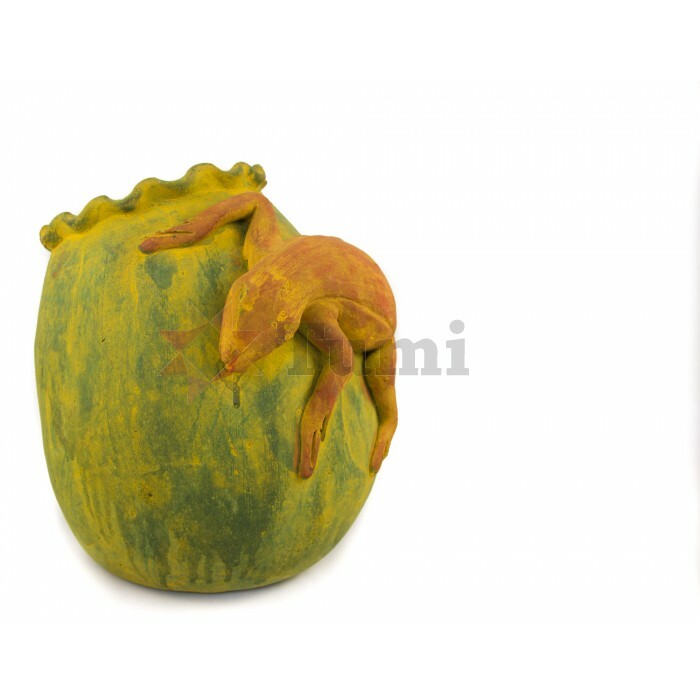 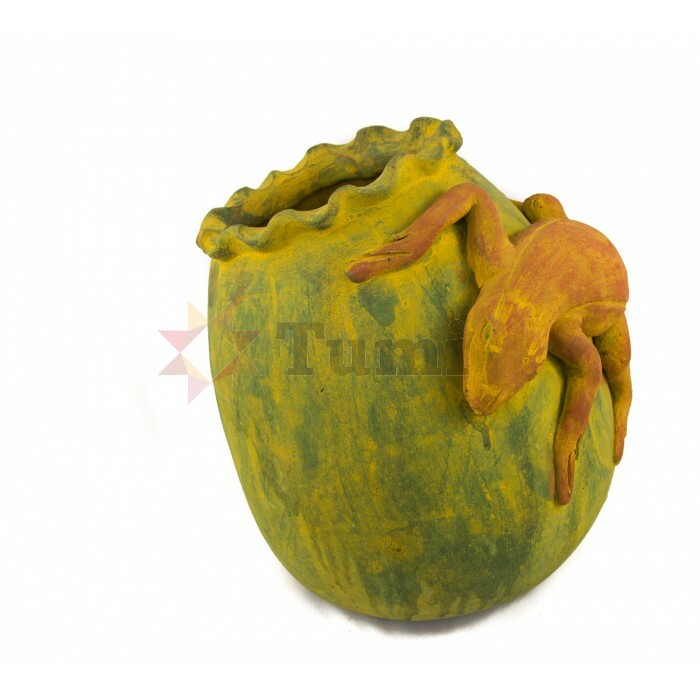 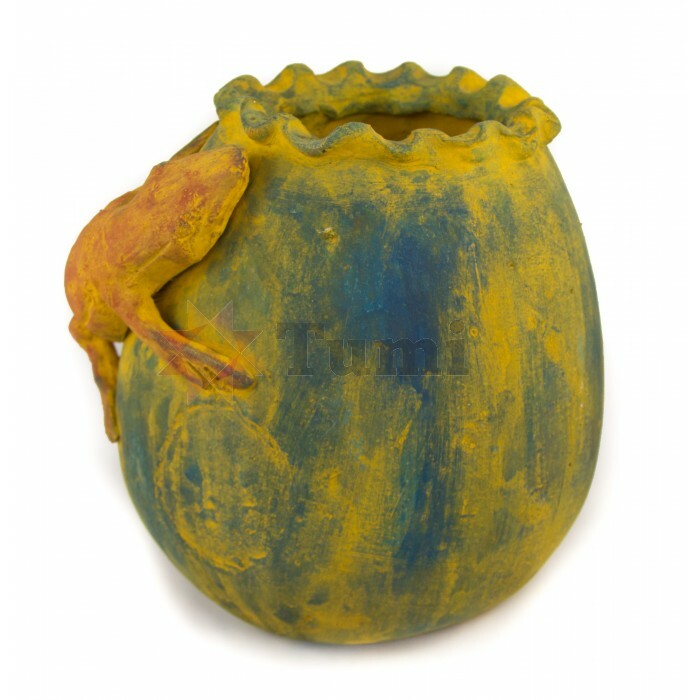 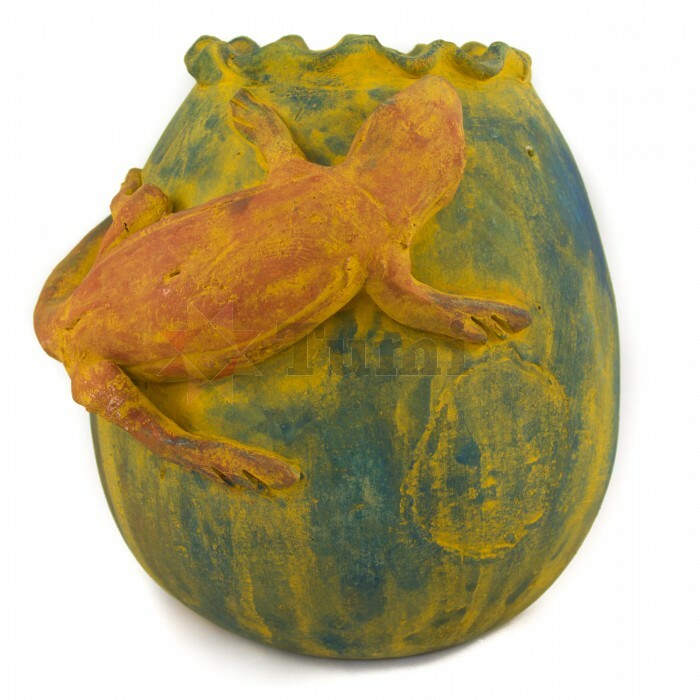 Large earthenware pot with a lizard crawling out of it. 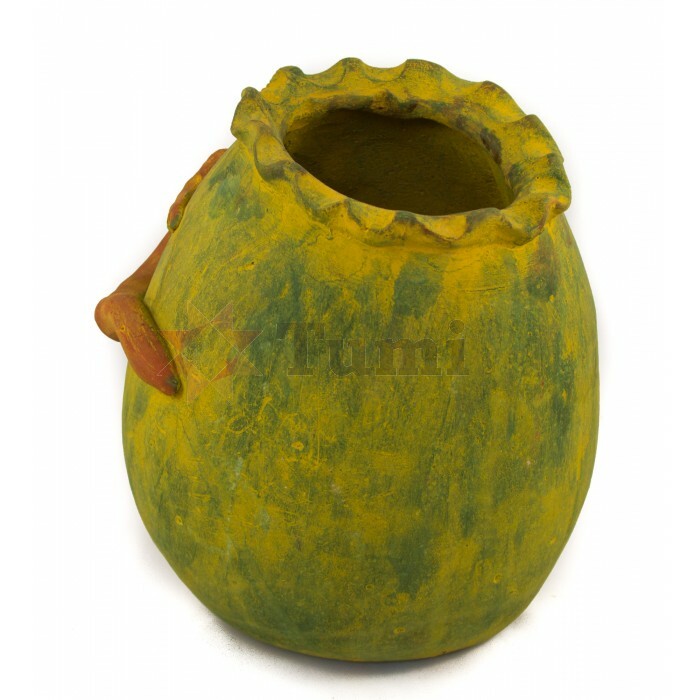 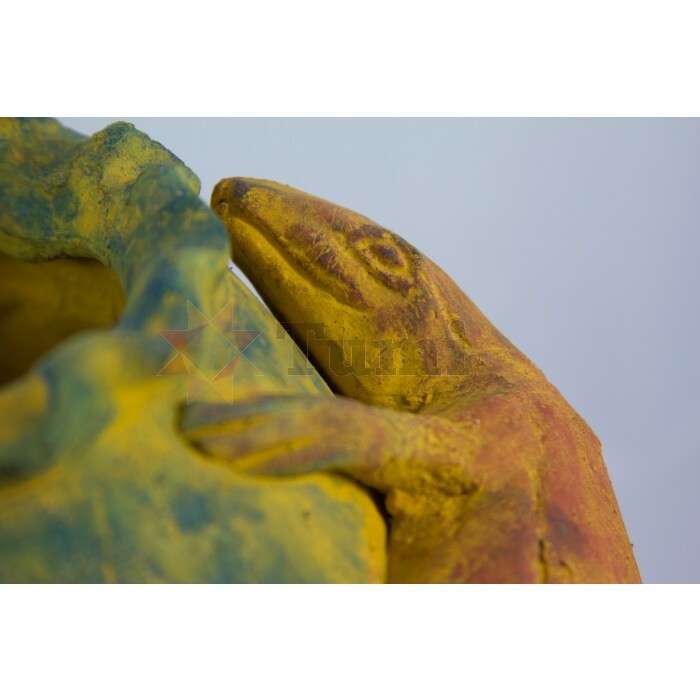 Hand made using ancient methods practised since pre-Hispanic times in Mexico. 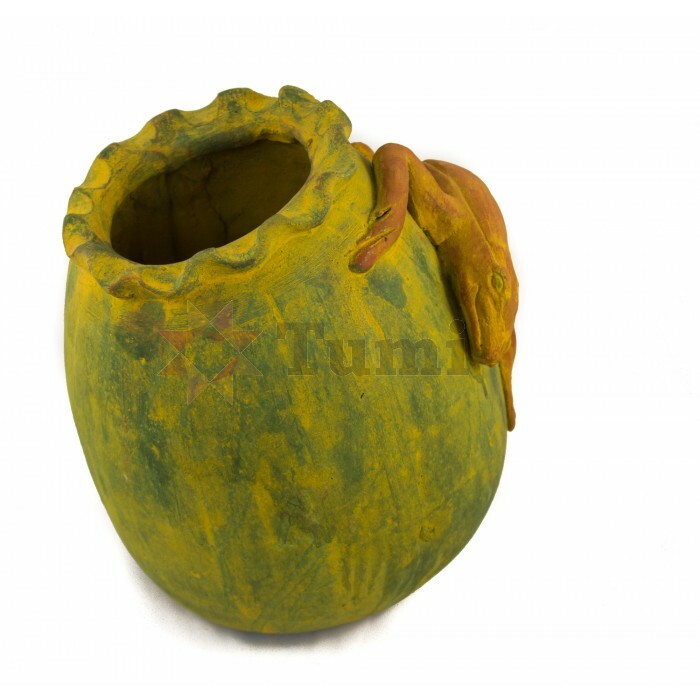 This pot is porous and so will not hold water but is frost proof so can be put outside.